As you grow older your health needs begin to change. The one thing that remains the same is that if you live a healthy lifestyle, you’ll be able to improve your life, avoid developing diseases, prolong your life, and be much happier overall. It’s not as difficult as you might imagine either. An easy way of doing this is by simply shopping only the perimeter of your grocery store since this is where you’ll find these foods. Avoid any inside aisles containing boxed, processed foods. If you’re a smoker, you should stop. It’s also important to avoid second hand smoke. It can be even more dangerous to you than if you’re a smoker. Once you stop your risk of heart disease and certain cancers will immediately decrease. These risks continually decrease over time. Your risk of falling and the morbidity rate connected to them increases as you grow older. This is why it’s important for you to anticipate them. Watch for things like stairs, slippery floors, high bathtub walls, and rugs. You should also include strengthening and balancing exercises in your senior health regimen so that if you do fall recovery will be easier. Speaking of exercise, you should make sure it’s part of your senior health regimen for several reasons, including avoiding obesity and preventing numerous diseases. If you haven’t started one yet, make sure you talk to your doctor before doing so. They may want you to have a structured or supervised plan if they have any health concerns about you. Typically, about 30 minutes of activity each day is recommended. This can be broken into three 10-minute sessions. Make sure you see your doctor for your annual checkups. While there make sure you discuss any senior health problems so you can stay on top of everything. Sometimes you’ll be prescribed a variety of medications. Talk to your doctor about them so he can help you with their side effects, if you develop any. Just because you’re older doesn’t mean you’re a bad driver. However, it does mean that your vision is changing, and your reaction times are slowing down – both things that will increase the likelihood that you’ll get into an accident. When you notice any of these issues, bring them to your doctor to hopefully find some solutions to your senior health problems. One more thing that’s important for senior health is to get your hearing checked. You want to make sure that you can hear everything and everyone around you. 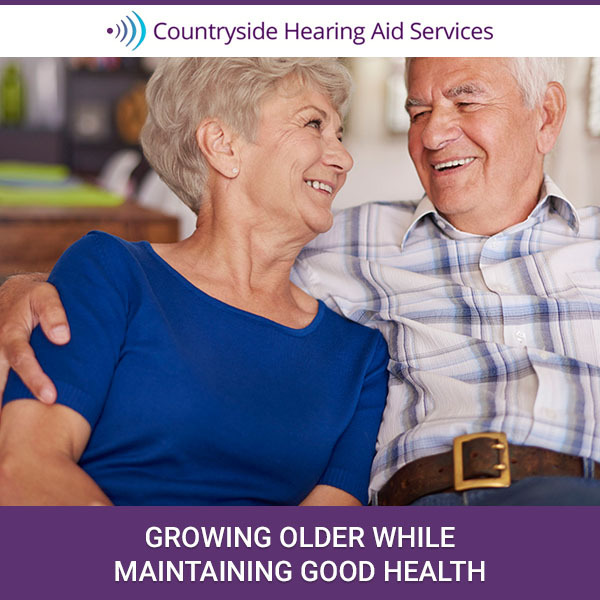 This is something that Countryside Hearing Aid Service can help you with. Many people have received their help over the years and are glad they did. You should be next.